New Jersey state police have released 911 calls from the minutes before a driver slammed into a police cruiser, killing Trooper Frankie Williams on Monday night. MILLVILLE, N.J. (WPVI) -- New Jersey state police have released 911 calls from the minutes before a driver slammed into a police cruiser, killing Trooper Frankie Williams on Monday night. Police say concerned drivers on Route 55 in Millville started calling in when they saw a red Toyota driving erratically. "Red car, looks like it's a drunk driver, he's almost all over the road, he almost hit us," one caller is heard to say. "I think there's a drunk driver right here in front of me, he's swerving on the road," said another caller. Police say there is no evidence the driver had been drinking. 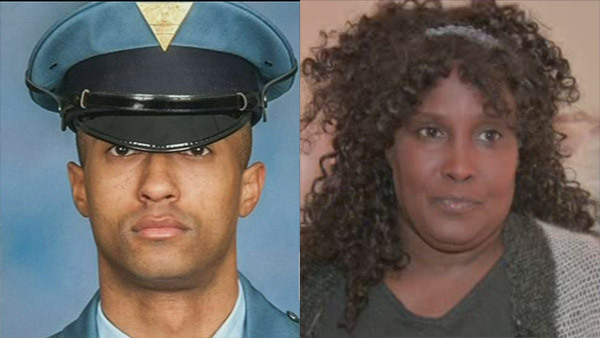 Victoria Williams, the mother of a rookie New Jersey State trooper killed in a traffic accident while on duty, spoke exclusively Wednesday night to Action News about the death of her son. They're still investigating what caused 61-year-old Lloyd Rudley to cross the median into oncoming-traffic. He crashed, head-on, into Trooper Williams' police vehicle. Both Rudley and Williams were killed. A vigil for the 31-year-old trooper will be held at the Leesburg Volunteer Fire Department on Thursday night.